On 5th June, time had come last: Global Formula Racing e.V. presented its GFR 14 electric car for the current season to the sponsors, former team members, friends and all those interested. Before the actual highlight of the event, the unveiling of the eCar, Global Formula Racing gave the audience some information and impressions of the work during the last seven months. Even after his official farewell, Professor Dr. Hänssler was glad to share anecdotes of previous seasons with all those present. To ensure the physical well-being of all team members and to support GFR’s “kitchen-crew” during the events, Dr. Haenssler presented the team with an exclusive cookbook. After that the audience got insights into special topics such as the unique supply chain management and the assembly phase. Furthermore two team members who attended FSAE Michigan told about their experience at this event. The program was accompanied with two brilliant videos by Ferdinand Schmitt: The first gives some impressions of Michigan, while the rollout video got the audience in the mood for unveiling GFR14 eCar. After unveiling the electric car and the end of the official program the audience could admire the car at close range. Many sponsors and supporters also took the event as an opportunity to talk to team members, to exchange experiences, to discuss technical solutions and to create new ideas. A big thanks goes to all sponsors, supporters and friends of Global Formula Racing e.V. 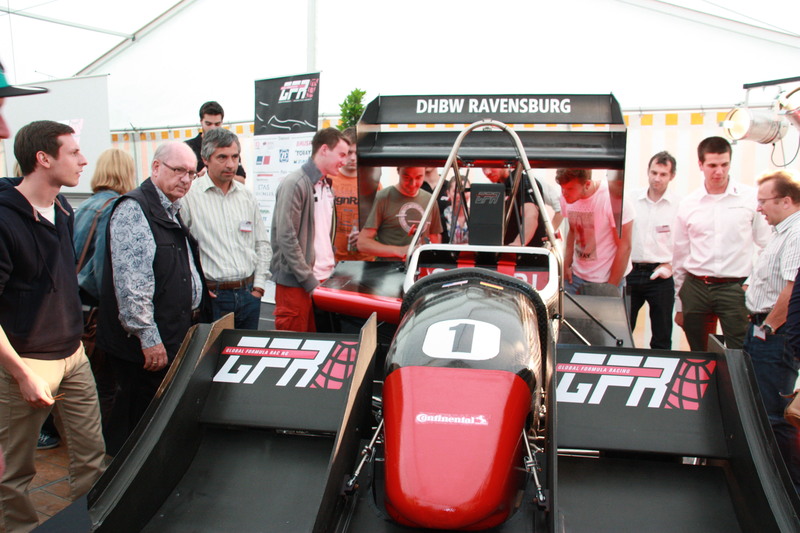 Only with your support, Global Formula Racing was able to build the car and make the rollout a fantastic success.